This post is filed under Cookie, Dry, Nabisco, Oreo. Haha….that’s a great explanation of the Cakesters…but I don’t find them quite as tasty as you do. Gawd are they dry though. 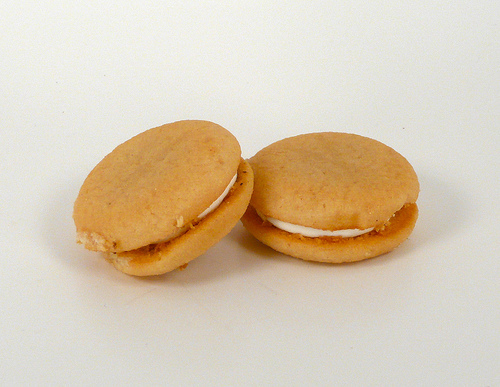 Go get yourself a real whoopie pie! 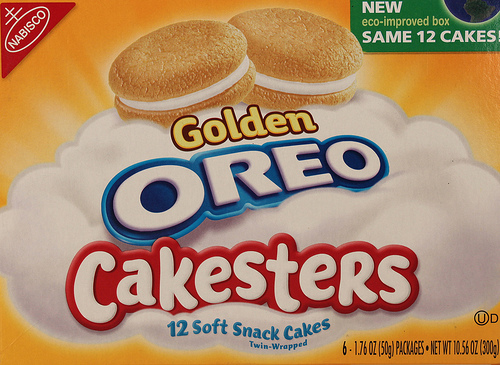 i have only had the regular cakesters… so awful yet so good at the same time. i wouldn’t recommend trying one because then you’ll wind up eating the whole box and hating yourself for it. don’t read the nutritional info! I am fortunate I bought a huge box of them – the taste is awesome. When I need more, i plan to search until I find more, or suffer the loss, its the one of the best I ever ate. There is nothing totally dry about it. Its a moist vanilla cake with crust, like a cake has, with vanilla icing in the center, not too much or too little in sweetness or flavor, its a delight to eat – it felt awesome.